NEW YORK, NY (May 30, 2017) – Colgate announces a new addition to the Colgate Total® portfolio: Colgate Total® Clean-In-Between toothpaste. Building on the superior cleaning benefits of Colgate Total that consumers have come to expect, Clean-In-Between toothpaste’s advanced micro-foaming formula reaches even deep in between teeth to reduce 83 percent more plaque germs than non-antibacterial fluoride toothpaste 12 hours after brushing for healthier gums*. Hispanics are one of the demographic populations with the poorest oral health of any racial and ethnic groups in the United States1. In spite of brushing twice a day, plaque can build up between teeth, which affects overall gum health. Colgate Total Clean-In-Between toothpaste provides 12-hour antibacterial protection for 100% of the mouth’s surfaces: teeth, tongue, cheeks and gums. 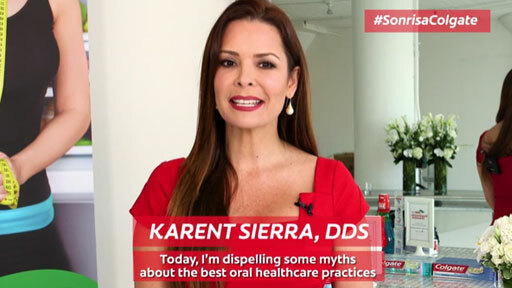 To launch the new Colgate Total Clean-In-Between toothpaste, the brand is continuing its signature Simplemente Saludable program with TV host Karla Martinez, nutritionist Chef Lala, yoga instructor Yudy Arias, and dentist Karent Sierra, to empower Latinas to invest in healthy lifestyles, beginning with proper oral health. The experts will be sharing tips to help Latinas to shake up their health. To follow the conversation use the hashtags #SimplementeSaludable and #SonrisaColgate. Colgate Total® Clean-In-Between toothpaste is available in 4oz and 5.8oz tubes at mass retail, drug and grocery stores nationwide. 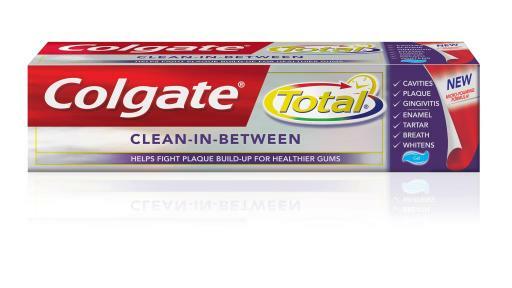 For more information on the Colgate Total® portfolio of products, visit www.colgatetotal.com. Colgate-Palmolive is a leading global consumer products company, tightly focused on Oral Care, Personal Care, Home Care and Pet Nutrition. Colgate sells its products in over 200 countries and territories around the world under such internationally recognized brand names as Colgate, Palmolive, Speed Stick, Lady Speed Stick, Softsoap, Irish Spring, Protex, Sorriso, Kolynos, elmex, Tom's of Maine, Sanex, Ajax, Axion, Fabuloso, Soupline, and Suavitel, as well as Hill's Science Diet, Hill's Prescription Diet and Hill's Ideal Balance. For more information about Colgate's global business, visit the Company's web site at colgatepalmolive.com. To learn more about the Colgate Bright Smiles, Bright Futures® global oral health education program, please visit colgatebsbf.com. The Colgate Total® line features a broad portfolio of products that provide a range of oral care benefits. Each product has a formula that helps improve the health of your mouth, to make you confident you are taking better control of your oral care. Colgate Total® toothpaste has an antibacterial formula clinically proven to actively fight plaque germs for 12 hours. It is the only toothpaste both approved by the U.S. Food and Drug Administration (FDA)* and accepted by the American Dental Association to fight plaque and gingivitis. Colgate Total® toothpaste also is the number-one toothpaste recommended most by dentists and hygienists. 1 Disparities in Oral Health. Centers for Disease Control and Prevention, February 12, 2017.